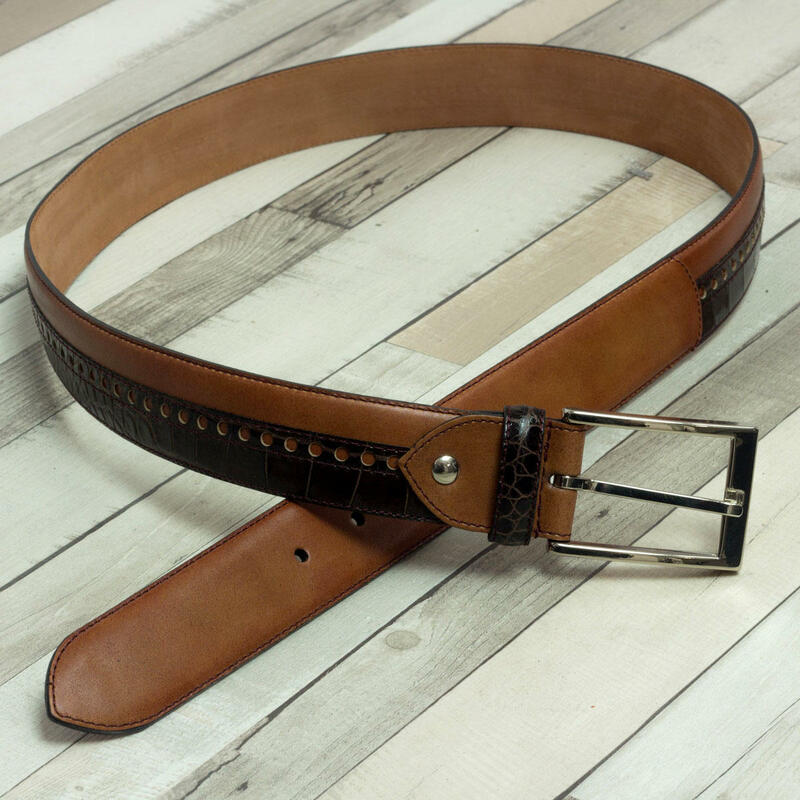 Luxury belts hand crafted in the finest materials from around the globe. Available in various styles to perfectly compliment our footwear and other accessories. The SunValley features accent details and bold broguing that will set you apart from the masses. •Polished green calfskin & camo flannel outer. 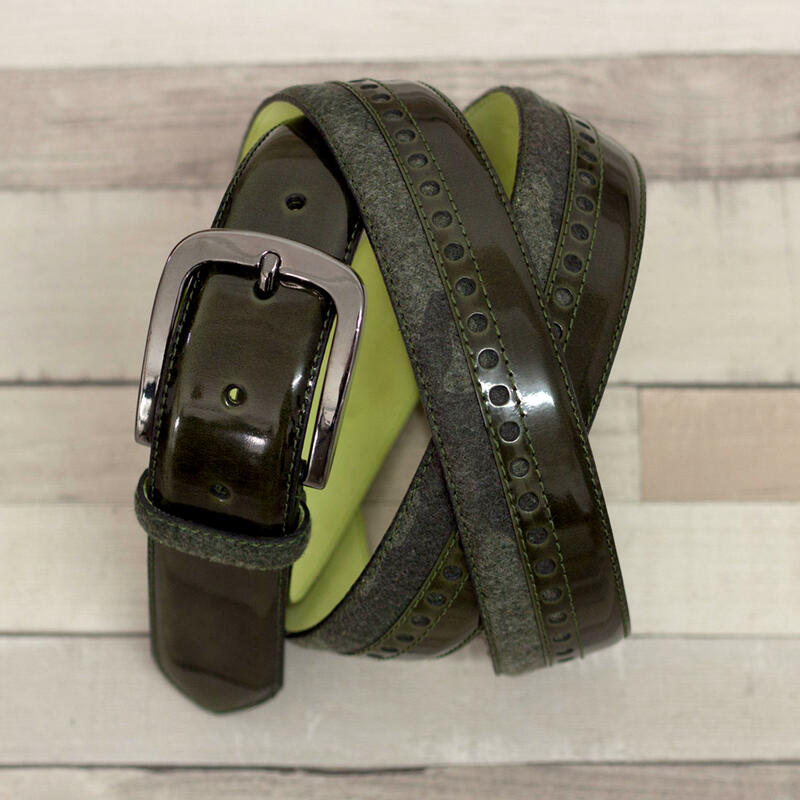 •Graphite metal buckle & rivets. All models come with Manor of London embellished rich fabric dust bag & box. 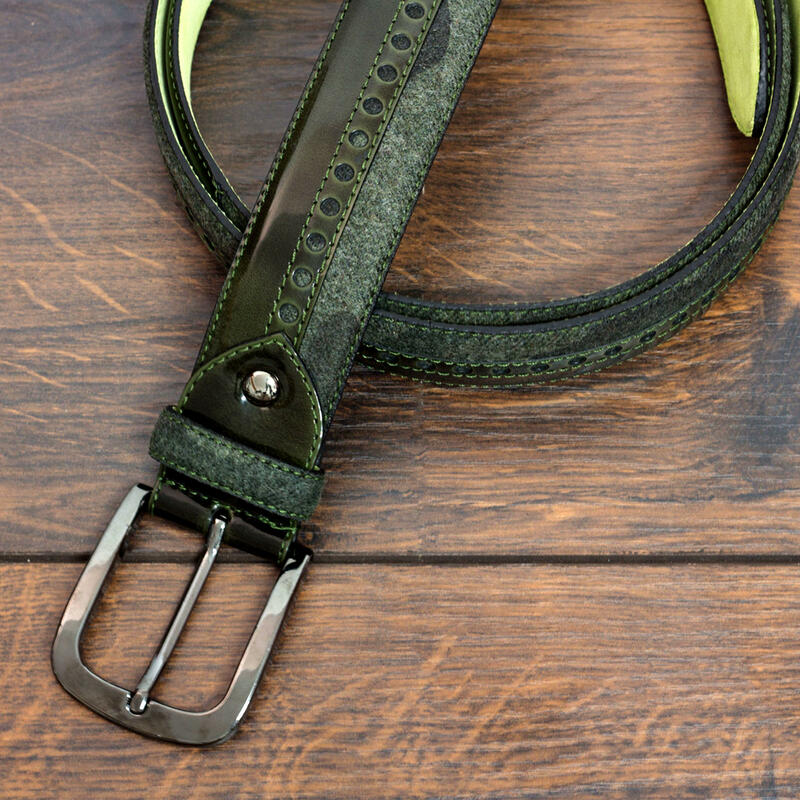 Each belt is made to order from one of the finest production houses in Spain & will require 3-4 weeks to produce. All belts bare our brand insignia stamped on the inner side..